Enthusiasts in search of quality libations to enhance weekends. This weekend the group got together for the ultimate test – could limoncello made with stevia taste anything like good old home-made simple syrup? 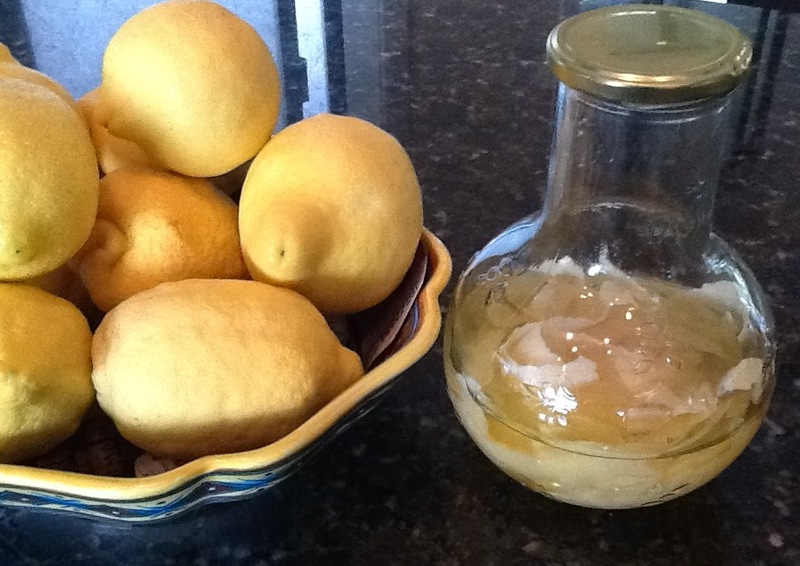 I’ve been making limoncello for years so I have to admit I was curious about the results. After dinner relaxing at the table with good conversation and dessert, or on a hot summer day a shot of limoncello poured over a tall vodka tonic, there are so many ways to enjoy this lemony delight. 1) I had the starter ready it had been siting on the counter in a cool place, bottle swoshed around once a day for about 6 or 7 weeks (lemon peel with no rind at all, so there is no bitterness, soaking in everclear). Everyone volunteered to do some part of it, and we were ready to start. 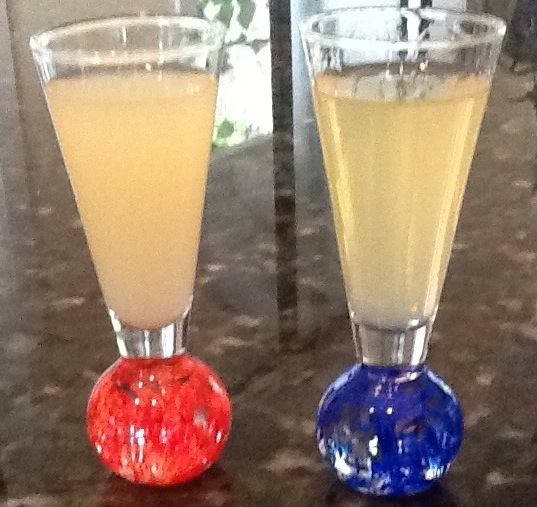 5) Now we were ready to mix the final product resulting in 6 cups of regular limoncello and 6 cups of stevia limoncello. We let it rest in the freezer while we ate, caught up and planned future adventures, then it was time to taste. Seeing that we had lots of lemons the group agreed they would peel away so we could get a new starter going (it takes 6-8 weeks). Under my close eye, to make sure none of that white rind was left on the peel, we were set, lemon peels and everclear ready to sit for another 6-8 weeks. At first glance you could notice some difference in color and viscosity. The real simple syrup (blue) is darker yellow and the stevia version (red) slightly thicker. The final vote for (some had to taste more than once, but only counted as one) was 70% sugar and 30% stevia. The regular, tried and true simple syrup juts tasted better. My guess is that the stevia version will be a perfect topper to other drinks, but for an after dinner digestivo I’ll stick with the simple syrup limoncello. Drink responsibly and we’ll see you next weekend! Categories: Events | Tags: digestivo, limoncello, simple syrup, stevia | Permalink.